The Bippolo Seed and Other Lost Stories is a wonderful collection of seven stories originally published for RedBook in 1950-1951. They are exceptional and will enchant both young readers and older ones alike. How exciting to experience a whole new series of Seuss stories, simultaneously available in both print and digital! These rare stories were discovered by Seuss scholar Charles D. Cohen and have been referred to as 'the literary equivalent of buried treasure'. They also have an expanded palette of colors that goes beyond what was originally available when the magazine editions were printed. 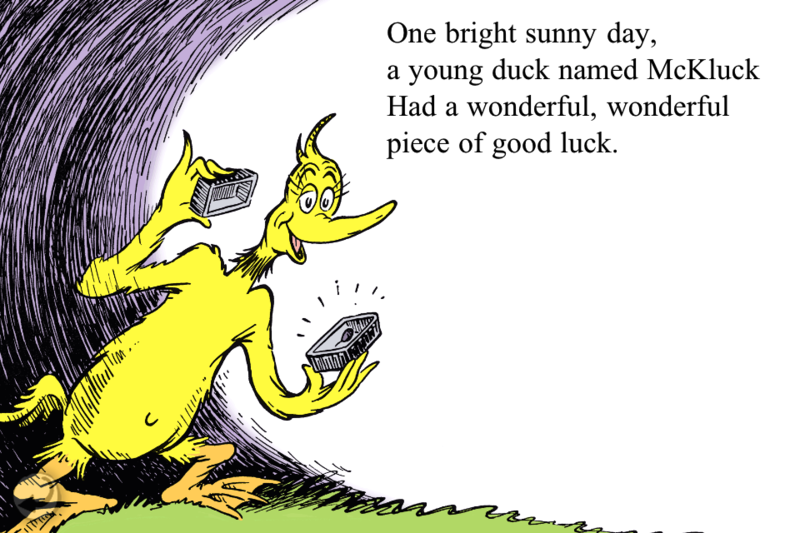 These stories capture some of the earliest themes that would continue to run through many of Dr. Seuss's future titles. In addition to the excitement of reading a brand new Seuss book, this title is also absolutely packed with stories, with a running time on autoplay of nearly an hour. Individually they make great bedtime stories, too, since they are each under 10 minutes long. To have all the stories in one app is wonderful, although I would love to see the introduction by Cohen (available in the print version) added in a future update. Like the other Seuss titles by Oceanhouse Media, this one also has polished narration with highlighting, as well as lots of tappable images (for instance, if you tap a picture of a bookshelf, the word 'books' appears and is spoken aloud). If the image is also represented in the text on the page, it highlights, nicely reinforcing word recognition for young readers. The illustrations are also exceptional, capturing the familiar whimsy of Seuss. I was surprised by the maturity of his style already in evidence long before many of the classics had been written. Overall this book app stands out for so many reasons. It is extremely well made with the OM Book format, preserves the magic of the print Seuss titles it is based on and has extraordinary replay value, like a mini-Seuss library at your fingertips. With seven stories available in a Universal app, this collection is truly one to add to my next list of essential digital book titles. My highest recommendation! "The Bippolo Seed" - About a seed that can grow anything, but the wishers wish for too much. "The Bear, the Rabbit, and the Zinniga-Zanniga" - About a rabbit that out-smarts a bear trying to eat him. "Gustav the Goldfish" - About a boy who overfeeds his goldfish with hilarious and alarming results. "Tadd and Todd" - About twins - one tries to look different, but his brother keeps copying him. "Steak for Supper" - About a boy who brags while walking home about steak for supper and attracts some unwanted guests. "The Strange Shirt Spot" - About a spot that keeps getting transferred from one thing to another, but won't go away. "The Great Henry McBride" - About a boy who dreams big about all the crazy jobs he might have when he grows up.